yummy yummy shrimp in my tummy! Greek Shrimp Scampi is one of my favorite shrimp dishes ever and I invite you to try it for your family!! It is easy it is fresh it is good. And you can find the step by step recipe HERE! 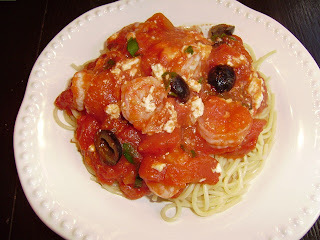 This entry was posted in Uncategorized and tagged GREEK, Mama Bird's Nest, pasta, shrimp.